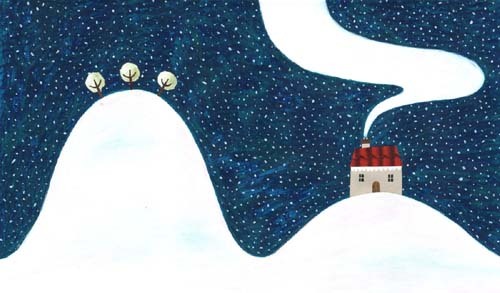 I like this mysterious, honest, little tale, the first one which Mei has both written and illustrated (she has illustrated three picture books previous to this one, one of which I reviewed here last year). 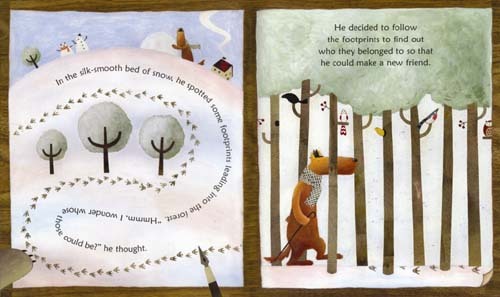 Wolf becomes Mr. Nice Wolf in his story. 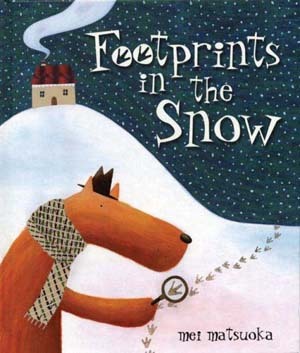 He’s following the footprints of an animal in the snow and trying so earnestly to determine to whom they belong — all so he can make a friend. All the animals he stops to ask don’t buy his sincerity and are convinced he really just wants to devour them. When he finally figures out they belong to a big, brown duck and he’s chatting with him, suddenly he “forgot all about what he was saying. For the duck looked so fat, so juicy, . . . and mouthwateringly TASTY . . .” And, mwaha, I’ll leave the story dangling there for you, in case you want to read it yourself. Suffice to say it’s a clever tale-within-a-tale, I like its Jekyll-and-Hyde vibe, and I also like its rather cryptic open ending. As Fuse put it in her detailed review from September, the book “manages to balance out the sweet with the knowing and in doing so comes up with a book faithful to the predator and honest with the prey.” So, where was this book when Adrienne and I did this post? Here are a couple of images from The Great Dog Bottom Swap, which is a quirky story about all the dogs in the world who go to a dog’s summer ball. They are asked to take their bottoms off at the door and hang them up in the cloak room, which then consequently get muddled up in the panic of an unexpected fire — caused by an over-excited hound who gets out of control on the dance floor! All the dogs end up going home with the wrong bottoms…It was written by Peter Bently and is due to be published in the UK by Andersen Press next July. Oh, I love images like that — the ones that make children want to belt out their Favorite One. Many thanks to Mei for stopping by and sharing this morning. We wish her the best and look forward to what comes next. P.S. Eisha, what’s your appropros-to-nothing fun fact? 1* See, here’s yet another reason why you and I are best friends, Jules. My random fun-fact is: I have a thing for moons. It may also be one of the reasons that Blue Moon is my favorite beer – I love the label. 2* Lovin’ the art this week. 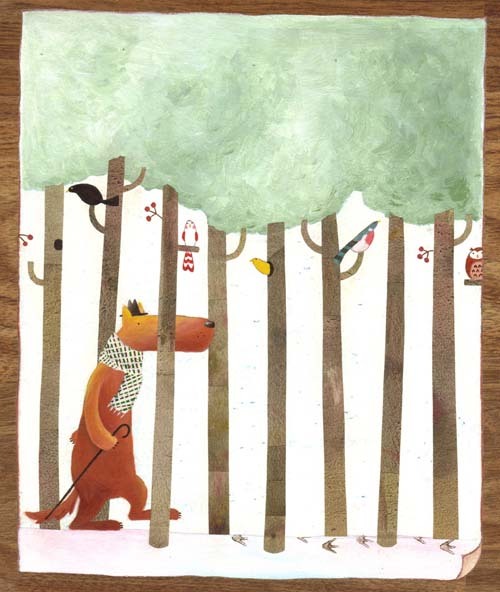 It’s about time there was a story with a nice wolf, although it sounds like he’s not too nice. I must read that book. 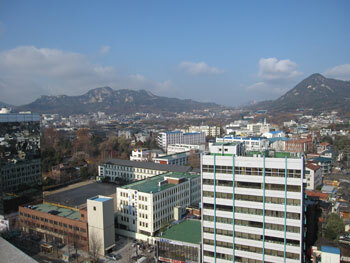 3* I made it safe to Seoul. 4* While there, I saw and learned and ate some amazing things. 5* And I met some very lovely people. 1). I had a lovely Thanksgiving with family. 2). One of my best friends, whom I’ve known since high school, and her family came to visit. They had to move away to West Virginia this year. Her daughter is my daughters’ best friend (both girls adore her). It was great to see them. Here are my girls putting the DON’T-LEAVE grip on Hadley. 3). We picked out our Christmas tree yesterday. A big, healthy Douglas fir. 4). I got a real wreath for the front door. I usually hang one made of jingle bells, but I thought I’d shake things up this year. Bad pun intended. 5). Robert Downey Jr.’s performance in “Tropic Thunder,” one seriously whacked-out movie. Actually, Tom Cruise cracked me up, too—particularly with his dancing—and that pretty much never happens. 6). When people have great ideas like this. 7). I snagged a seven-questions-over-breakfast interview with author/illustrator/designer Carin Berger, whose Little Yellow Leaf is one of my favorite books of the year (and I’m not alone. 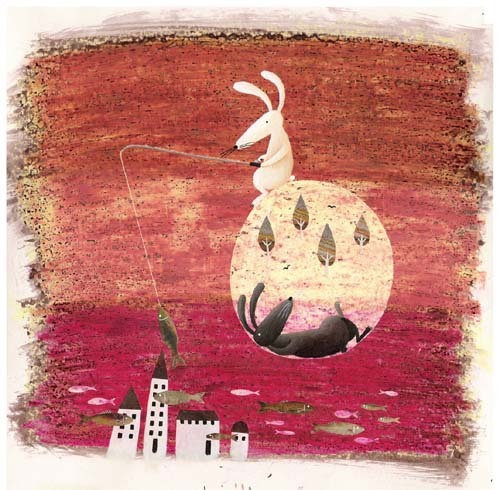 It’s been named a New York Times Best Illustrated Children’s Book of 2008). I checked my online library record yesterday and literally yelled, “NO!” when I saw I had to turn it in that day. That’s going to be one title to purchase and add to my collection for sure. BONUS KICK: Maxwell Eaton III will be here tomorrow, and he’s a very funny man. Young man, I might add. I think he’s, like, in his 20s, and I want to just pinch his cheeks. We here at 7-Imp hope everyone had a warm, happy holiday, too. 1) Thanks to strawberries and rhubarb from the farmer’s market bought this summer and frozen for winter, I made two of my most delicious pies to date. 2) Etsy. I tell you, I go there for my daily fix of beautiful handmade creations and my spirits are lifted. 3) My father and my daughter spent a high-spirited week together when he visited from the East coast. She is going to have to go into recovery mode because no one here is going to be THAT attentive for a long, long time! 4) I’m reading Bringing the Story Home: The Complete Guide to Storytelling For Parents, by Lisa Lipkin. I don’t know why I didn’t know about this book before, but I think it’s going to be a useful reference tool. 5) We went out to the Wild Ginger restaurant here in Seattle this past week. It’s a rare treat to go. Those scallops! That duck dish! 6) “Twilight” the movie was campy, bad-movie fun. I didn’t expect to like it, especially after reeling from the train-wreck that was Breaking Dawn (fans, avert your eyes), but I got a real kick out of the movie, flaws and all. 7) Rereading Elizabeth Goudge’s Linnets and Valerians plus The Little White Horse was good for me. A belated Happy Thanksgiving! I was so busy last week with shopping, cooking, baking, and cleaning in preparation for the holiday that I barely had little time for blogging. Eisha, I am definitely directionally challenged, too. I am soooo inept at being able to determine where I am when I’m driving around in a city. Before I began teaching at Boston University, I had to take practice drives into the university with my husband before I felt sure I wouldn’t get lost. That’s BAD! Jules, those three young girls are definitely adorable! 1. My family and I had a grand Thanksgiving. 2. 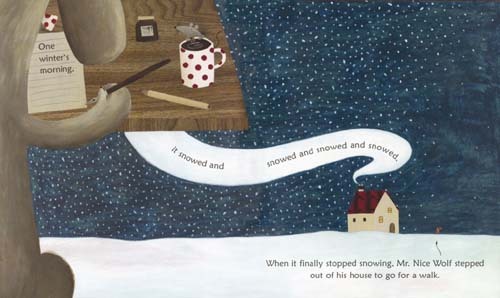 I love Mei’s art–and I love picture books about winter and snow. I’ll have to get a copy of FOOTPRINTS IN THE SNOW. 3. 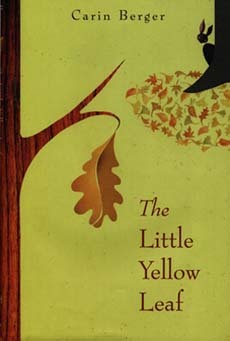 I love Carin Berger’s LITTLE YELLOW LEAF. I was happy to see that it received the New York Times Best Illustrated Book of the Year Award. I look forward to your interview with Carin. 4. I’m still loving my new computer. Now my husband wants to get one like mine–even though he got a Macbook earlier this year. That’s about it for now. Enjoy your Sunday! Gorgeous, GORGEOUS artwork!! I’m trying to figure out books for a 1.5 year old, and though that one is obviously too old, I’m going to hold onto the title. Really beautiful, and I love the bass the one dog is playing! Many kicks — from Eisha’s photos of Seoul (the CHICKEN MUSEUM!!!) to running home through slush and watching it turn — albeit briefly — to snow on Thanksgiving, to our concert in just …six hours. Yikes. Must leave for dress rehearsal, but just wanted to pop in and say hello — ! Every week you amaze me with such scrumptious books! I love the art work and want both titles. Eisha, glad you made it home safe and it sounds like you had a blast. Jules, I can’t wait to see Tropic Thunder. Love RD, Jr! 1. The weather and the coast last Sunday. My aunt was here and we went for the day. 3. The Portland Christmas Tree in Pioneer Square last night…a warm night that we could walk there and back before The Singing Christmas Tree performance. 4. Time to bead, nap, and hang out at home this week. 6. Daily walks with Chuck and the pooches. 7. Connecting with the wife of my nephew through Facebook, get to see great-nephew photos. Mei’s artwork is the perfect start to the day. LOVE those dogs, and her joyous style. Yay for Eisha, getting around on her own in Seoul and returning home safely. Congrats on the Carin Berger interview, Jules!! Looking forward to it, and those girls are adorable. Farida, I once ate at Wild Ginger, too. Absolutely scrumptious! 1. Had a lovely Thanksgiving with friends and talked to family on the phone. 2. Dylan concert in NYC last weekend (blogging about it tomorrow). Seven kinds of fantastic! 3. Finally got to see Books of Wonder in NYC. Eight picture book authors and illustrators were doing a big signing. Very cool! 4. Lunch at the Algonquin Hotel. 5. Read Encyclopedia of an Ordinary Life by Amy Krouse Rosenthal. LOVED it. It’s a memoir-y alphabet! 6. Making some progress on my Christmas shopping. 7. Saw Harvey Fierstein (“Hairspray”) eating a sandwich in a deli. Random fun fact: I love character wristwatches. It’s hard to keep all the batteries going, though. Jules = sun, Eisha = moon. Now it all makes sense! Gorgeous illustrations! I just added FOOTPRINTS IN THE SNOW to my Amazon wish list. Argh. I’m so busy today with line-edits that I can’t really linger. But- JOY! What fantastic art! 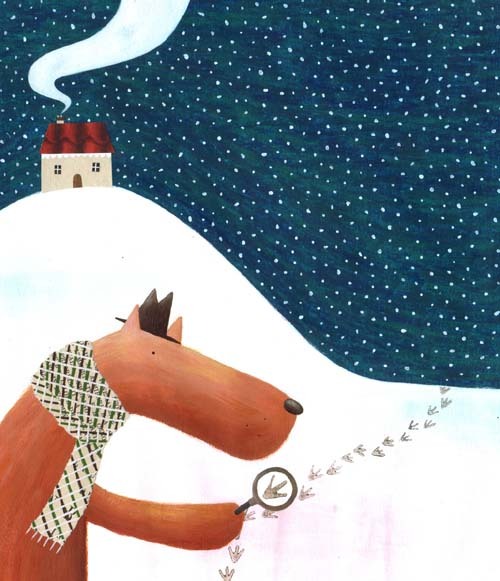 I love Mr. Nice Wolf’s scarf and his magnifying glass, and especially, his goes-before-him nose. Welcome back, adventurous Moon! Love your pictures of sweet girls hugging, Sun! (And thanks for the shout-out for Flying Horse Farms.) Fun Fact: East o’ the Sun, West o’ the Moon is my favorite fairy tale. 1. Thanskgiving! And a wheat-free, vegan, pumpkin pie for my daughter that EVERYONE loved. 2. Twilight last weekend–not so much because the movie was great (it wasn’t) but it was a fun, campy outing. 3. Lots of great singing in church this morning. 4. More singing: my choir recorded a CD and I’ve been listening to us pretty much nonstop. 5. Started some Christmas shopping–but not on Black Friday. Whew! 6. Oh, and I just read Fever 1793, which I’d had on my list for a while…I read it in one big gulp, and really enjoyed it. PS–Eisha, Welcome Back! And, Jules, Tom Cruise’s dancing was the best thing in Tropic Thunder, I thought. S&S, I lo-o-o-ve Goudge. Must read L&V again. Whoa. You guys, I just slept for 12 hours. I feel like I’ve been hit by a truck. But it’s good to be home, and to hear about all your kicks. Alkelda and Libby, Twilight was a hoot, wasn’t it? Glad you both had a good time with the badness too. And Alkelda, strawberry-rhubarb pie? YUM. Elaine, Boston was the worst town in the world for me. All those one-way streets going in different directions, and all the tiny neighboring towns having streets with the same names, so you couldn’t always tell when you’d crossed a line and changed towns. Argh! Glad you had such a nice Thanksgiving. TadMack, thanks for digging my photos, and understanding why, when I found out there was a Seoul Museum of Chicken Art, I had to go. Break a leg! Jone – the Singing Christmas Tree? Sounds awesome. 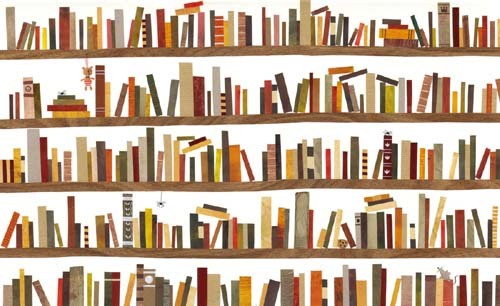 jama, the Rosenthal book sounds great – must look for it. And I love your fun fact! What’s your fave watch? Sara, I love that fairy tale too. And good luck with the edits. Libby, that pie sounds pretty awesome too. Now I am seriously craving pie. You really just have to *like* someone who collects hats, don’t you? Eisha, I am glad you’re (nearly) safely home. Jules, Ooo! I have Tropic Thunder at the top of my Netflix queue. I’ve been kicking myself for missing it in the theater, and I’m very much looking forward to seeing it. 1. I have, at long last, finished most of my prepping for this 7-hour workshop I’ll be doing in San Francisco this Thursday. Whew! 2. I had a lot of time off at the beginning of the week, and I really enjoyed being able to take my time preparing for The Feast. 3. I made an angel food cake that turned out particularly awesome. 4. Ditto some creme brulee. 5. Thanksgiving turned out to be so nice with so many of my loved ones around, who all pitched in and helped out in ways that helped me stay calm. I love that they all know about my tendency to fret and love me anyway and even accommodate my oddness. Can’t ask for more than that in life. 6. Today I used a new recipe to bake bread, and boy is it good. Mmmmm. 7. I saw three movies this week: Twilight in the theater (campy fun, like Alkelda said), Bolt in the theater (which had slow moments but, overall, was fun), and King of Kong on DVD at home (oddly gripping–I cannot get enough of documentaries about oddballs, being one myself and all). Random bio fact: I roll my t-shirts into little tubes instead of folding them when I put them away in the t-shirt drawer. Eisha, You were posting when I was posting: you’re officially home! Huzzah! I hope the hit-by-a-truck feeling passes quickly. Farida (I LOVE being able to call you that now in all settings — not just emails) — Thanks for complimenting my kids. That friend of theirs…now, she’s a beauty….I love your kick #3. That’s how I feel when my girls get back from a grandparent’s, especially the grandmothers. Boy, their every desire is granted. Then, they’re stuck with mean ‘ol mom and dad. Elaine and Eisha, I am also directionally-challenged. I get ANYwhere by what I call Zen Driving. Glad you’re enjoying your new computer, Elaine. TadMack and Eisha, does Susan know there’s a Museum of Chicken Art? She MUST be told…TadMack, congrats on snow on Thanksgiving. Jone, yes, I believe it was Zoë last week who called Robert Downey, Jr. her “new favorite Hollywoodite.” I’d have to agree with that assessment. My husband and I were talking after “Tropic Thunder” about how it’s kinda cool to see him have gotten his act together and come out so….well, cool on the other side of it all….So glad you got napping time this week, Jone. Napping is something I will never again take for granted, after having had kids, who make it nearly impossible to do so. I’m happy your visit with your aunt was good. Jama, I second Eisha’s question about your favorite watch. Also, please do tell: Which picture book creators were doing signings in the bookstore? And CONGRATS on the Dylan concert! ROCK ON. Looking forward to your post about it. Sara, good luck with the line edits. Thanks for stopping by, even in all your busy-ness. Jama and Libby, I just got some Christmas shopping done, too — each girl’s BIG ‘OL gift from Santa (I told Santa I’d pick ’em up, that is. I know he’s busy making toys), whom they get to meet in person next week. Speaking of…I still cannot believe this news story. Like, seriously, don’t even get me started. I refuse to venture out on Black Friday anyway, but the fact that a group of people TRAMPLED A POOR MAN?? I mean, what the $%^&%*#$!!! were they thinking? Where is our decency? I just…just….just….ERGH….cannot believe it. Those Wal-Martians are crazy. Eisha, glad you got caught up on sleep. Adrienne, glad you had a fabulous Thanksgiving. Oh, and I saw “King of Kong” recently, too. Good stuff. Also: My husband folds his tee shirts similar to that, Adrienne. It took me a long time to get used to it. Hope everyone has a good Sunday! Eisha your photos were so much fun to look at, especially all the yummy food. I’m glad I’m not the only one who takes photos of my meals 🙂 Glad you’re home safe! Jules, I was just looking at buying a Christmas wreath for the door! We can’t have them in hot Brisbane so it will be a real treat. It was lovely to hear about everyone’s Thanksgivings this week! Adrienne, my dad swears by the rolling of clothes method, especially for travel, but I’m yet to be converted. 1. Now there’s no leaves it’s easier to see birds. This week’s highlight were some cute goldcrests, one even splashed around right next to me in a pond so I got a great view. 2. We went into London yesterday to pick up a couple of things, wander around and meet someone for a drink. Although it’s fun living in a small town it’s also nice to visit a large city! And we popped into the British Museum when wandering past, which is pretty much my definition of a good day out. 3. One of the other wandering places was the Borough Market, where we bought lots of yummy things to eat. Good thing we don’t live in London or the weekly shopping bill would be huge! 5. I was mourning a ladder in an old and faithful pair of woollen tights when I realised I’ve had them so long they had probably cost me 2p a wear, and then found a cool website with a great range and had some new ones within a few days. 7. I worked one month in the Australian tax year last year, so had to put in a tax form. I was sure I had to pay tax and had money set aside, but received my assessment this week saying I owed nothing! I rang and checked it out, and it’s right – a very nice surprise. Also, lots of productivity – creating, catching up, and beating deadlines by DAYS and WEEKS! Emmaco, congrats on the tax surprise! Woot! And I think that “piles of books” are the best kinds of gifts. Oh, and the Thing I Learned From You This Week: Goldcrests. They’re awfully cute. I also think The UK’s Smallest Songbird sounds like a good band name. And I finally caught up on the Flickr pics myself, E. MY GOODNESS, what fun you must have had! Good eatin’….good friends….awesome-ness. Hi, Little Willow! Your kicks are alliterated again. I gotta try that one week. Can I BE non-verbose, though? I just dunno. Break a leg today, LW. Oh, the Museum of Chicken Art is too great. I am happy just knowing that there is such a thing. And seeing the pictures is, well, AWESOME. Merci, Eisha–and to Jules, too. My random fact? I love to go swimming. Rolling the tee shirt method is the only way to go — in the drawer and in the suitcase. My mom learned that in the Army — so now all I have are rolled clothes! Should I seek therapy? I missed this Museum of Chicken Art thing. Must learn more. PB people I met: Jon Scieszka, Brett Helquist, Bob Shea, David Gordon, Laurie Keller, Art Spiegelman, Dean Haspiel, and Laura Cornell (see my post on Tuesday). Fave watch? Hard to say. Paddington? Porky Pig? Pooh? Simpsons? Felix the Cat? Could be Betty Boop. What I’d really like is an Eloise watch. Not sure if one exists. Wow! Beautiful art. May have to buy a print to hang in my house! Maggie, thanks for stopping by. Dunno how I missed you the first time around – prolly jetlag. I am so totally gonna milk that excuse for as long as I can. adrienne, you made creme brulee? You just achieved goddess status in my book. Break a leg at the workshop. emmaco, yay for not having to pay taxes! That is a lovely surprise. And I dream of visiting the British Museum someday. Little Willow, you continue to amaze me. I’m not sure I know what it’s like to actually be early for a deadline by weeks. Break a leg! Hey, Susan! Glad you liked the pics, and that you stopped by. jama, I’ll keep an eye out for the Eloise watch. Surely there must be one somewhere. Hey, Corey! Thanks for visiting. Susan, I think Lovey and Fuzzy should go to the Museum of Chicken Art with you…if they’ll let them in. Jama, how did I miss this post? I’ll go look. Or do you mean *this* Tuesday? Again, I’ll go look. The British Museum is heaven on earth. Hi, Corey. I don’t know if Mei sells prints, but you can always check her site. OR just check her site for the lovely home page with the wonderful, little brown “enter” door. Me likey. 1. Mheir and I had a lovely Thanksgiving with friends in San Luis Obispo. I took a bunch of books down for their nearly 3-year-old son, and it was great watching him appreciate them. He especially liked Truck Stuck. 2. Last night we bought a much-needed set of new dishes – not fancy, but shiny and new and with 12 place settings. 3. We’re starting to decorate the house for Christmas. 4. We also started our annual tradition of watching as many Christmas movies as we can (so far, Charlie Brown, Elf, and the Santa Clause). 5. Today I received my 5000th blog comment. Of course, since I comment to reply to people, probably only about 2/3 of those are from other people. But still a fun milestone. 6. I did hit the 100 comment target during Pam and Lee’s challenge, even though I had to largely take the third week off. 7. Recently I’ve had FaceBook friend requests from a couple of elementary school friends, and it’s just such a joy to see their names pop up. A reminder of the past, just right for the holiday season. Hi, Jen! I’m about ready to watch “Elf” again myself…Congrats on your 5,000th comment. That’s excellent. Glad you had a good Thanksgiving. I’m glad to know I’m not the only t-shirt roller. I learned to do this from the Queen of Clean or Heloise or some such, and it’s a lot easier to keep things in rolls than folded in rectangles when you’re rifling through. It’s also better on space when you pack a suitcase. So say I, at any rate. Little Willow, Good for you beating deadlines by days and weeks! I aspire to that! Eisha, There are lots of fancy recipes for creme brulee, but the one I use is embarrassingly easy (thank you, Internet!) and completely yummy. Oh, I love that nice but not too nice wolf. And her site is great fun to explore. And everyone’s Thanksgivings sound so nice. 1. My maple-nutmeg cream pie and brown sugar and pecan crusted sweet potatoes were both hits on Thursday. 2. Having a lovely Thanksgiving meal and visit with the bf’s family in Bothell, WA – then driving home and sleeping in our own bed, full, full, full of all that food! 3. Time off of work to just putter. 6. Walking dogs, mine, and those at the shelter. 7. Tonight, coming home from dog walking to 2 happy dogs, then cooking green curry chicken for us while the bf started a fire in the fireplace. Oh, my random fact: I am known for being fairly fearless, but I am VERY afraid of the dark. Always have been. RM, I live to putter anymore. I used to live to work. Then I had kids; now, I live to putter. I’m glad you got to putter this week. Your little description there for Falling Angels is quite the booktalk. And, oooooh, a fireplace. Wish I had one. May I covet yours? Thanks for sharing your random, appropos-to-nothing fun fact. I get yours. I really do. I don’t think I’d be afraid of the dark if I hadn’t grown up in middle TN and heard the legend of the Bell Witch one blajillion times, and so every time I’m in the dark, the phrase “I hate the Bell Witch” runs through my head, and I start saying, “no, no, I don’t. It’s a lie, I tell ya.” And then, see, I’m just talking to myself like a crazy person there in the dark every night. Now Eisha’s going to scold me again for even bringing her name up at the blog. And, damn, I actually used the “hate” word, even though there are no mirrors around. I’m screwed. I digressed. Sorry. Thanks for visiting and kicks-listing with us! The vibe here is so great. That could just about be my first kick. 1) In contrast to Jules’ large healthy Christmas tree, we got a short, scraggly Charlie Brown special this weekend. But it smells nice and we can imagine that we saved it from being tossed in the wood-chipper unclaimed. 2) Our first snow of the season dumped hard on Friday — close to six inches in about six hours. It’s mostly melted now, but it’s kind of nice to get a blast of it like that. The kids were in heaven. 3) I got out by myself (very, very rare with three kids) yesterday afternoon and caught a wonderful band at a local coffee shop, then hit a new (and amazing) exhibit at the local art gallery. Learned all about printing — woodblock, linocut, etching, screenprinting — and it made me wish all the more that I was an artist. But I appreciated the art despite the jealousy. 4) Finally watched Into the Wild. Disturbing, but kinda great. Reading a biography of Stradivarius, the great violin maker, and Kenny & the Dragon with Ella. 5) Took the girls skating on Monday and everyone to the pool this afternoon. 6) Fish ‘n chips at our house with friends. Good beer late at night with good friends. Ok, that’s two. 7) My dad taking all the kids out for lunch today so Tannis and I could go on a date. Dreamy. Jeremy, congrats on your date out! And your day-to-yourself out, too. Anyway, your Charlie Brown tree sounds great. I also wish I were an artist. Hence, all my illustrator interviews. Happy First Snow! What great pics over at your site. Way late to the party but could not resist stopping by and frolicking here in the Field of Kicks. (Hey, if it kicks them they will come.) Sounds like everybody had a great week! Random fact: I wear jeans pretty much every day of the week, and feel oddly misdressed (like wearing a shirt inside out) if I don’t have a ballpoint pen in the left pocket, ready to use. Thanks, Jules. That’s a great idea to by a tree you can plant later…one of those “of course!” moments. Hi, JES. I get your random fun fact, too. I do. Not that I do that, but I get that kind of compulsion. Jeremy, one year we’ll actually do it. …. One year. I get the BW scariness, and I can relate. Growing up in an old house in New Orleans had its issues, plus the city itself, plus the cemetaries, and our own City Park where all the neighborhood kids just KNEW someone had died down one of the old, half overgrown dirt roads. oh, and with Fallen Angels – I wasa trying very hard to be precise – it was a fun and interesting read. And yes, you can covet the fireplace here, along with the several now burnt portions of the carpet in front of it where bf got carried away and bits of fire leapt out at him last week. I swear, between the two of us, I wonder how we haven’t burned or blown up the house. Never dull though. Great post. I was checking continuously this blog and I’m impressed! Very useful info specifically the last part 🙂 I care for such information a lot. I was looking for this particular information for a long time. Thank you and good luck.